April | 2014 | Where Are You From? In Niz Jabour’s homeland of Iraq, stories and folklore are passed down through families. One popular character in these stories is Mullah Nasrudin, whose tales have amused and inspired people across Eastern Europe to Western China. Niz Jabour came to Australia from Iraq as a refugee. He’s now a theatre maker who brings stories of his culture and life on Australian stages. He brings the stories of Mullah Nasrudin to La Boite Theatre in Brisbane from the 8th to the 17th of May. Niz talks to us about the mythical Mullah Nasrudin and his own experiences that inspire his creative work. As you may or may not know, WAYF producer Ellie is a Korean adoptee – born in Korea, adopted by Australian parents and raised here. There are many socio-economic reasons why Korean adoptees were given up for adoption. Ellie’s birth parents, for example, faced extreme economic hardship when I was born in the 80s. But one of the most common reasons Korean babies are put up for the adoption is because their birth mother is unmarried. Single mothers do not receive financial support in Korea and also face social discrimination within their families, workplace and education systems. However, Koreans and adoptees today are trying to change this attitude. One nonforprofit organisation, the Korean Unwed Mothers and Families Association (KUMFA) operates from Seoul to support the rights of Korean single mothers. They offer a range of services like advocating for single mother rights, fundraising, education, and care and mentoring for the children. 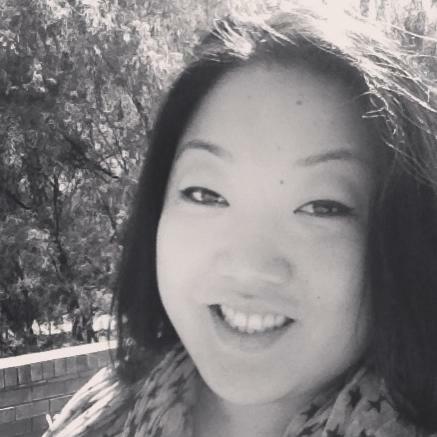 Korean-Australian adoptee Pia Meehan from Perth manages an online Korean Australian adoptee community and runs her own business Utopia Handmade, where she sews clothes and accessories for children. We chatted to Pia just before she flew to Seoul last Sunday about fundraising, her insight into Korean adoption advocacy, and her personal connection to Korea. You can donate to KUMFA by emailing Pia at utopiaHandmade@gmail.com or sending a PayPal donation to KUMFA at kumfa.volunteer@gmail.com. 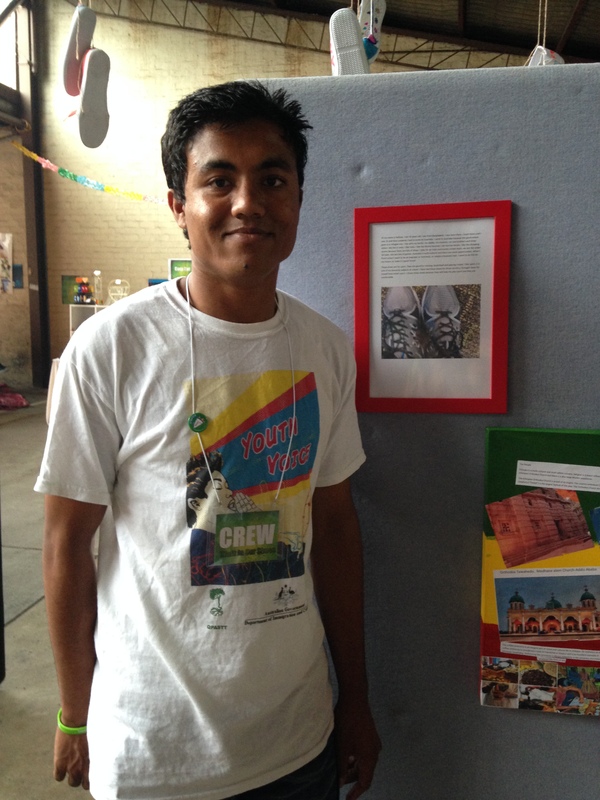 At the conclusion of National Youth Week, multicultural group Youth Voice organised a mini festival called Walk in Our Shoes. 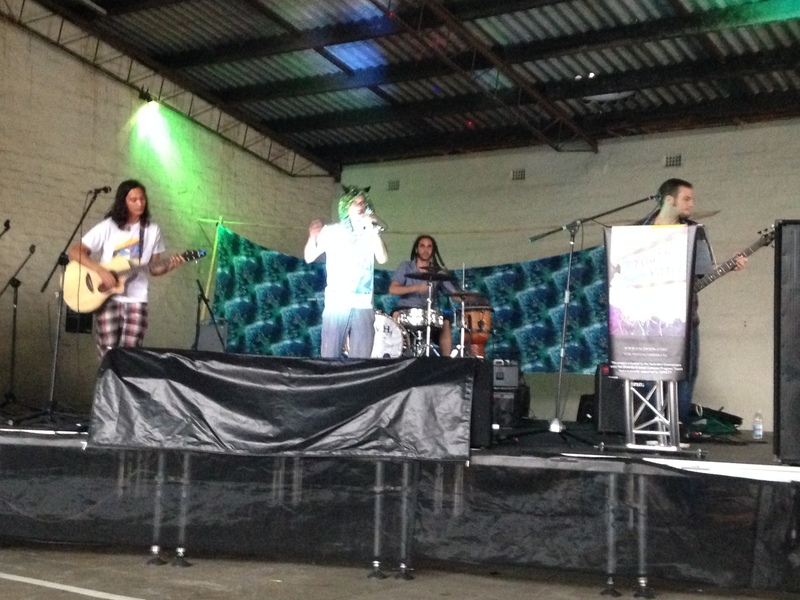 Walk in Our Shoes was held in a carpark hangar in Boundary Street in West End and showcased music, performances and art promoting cultural diversity in Brisbane. 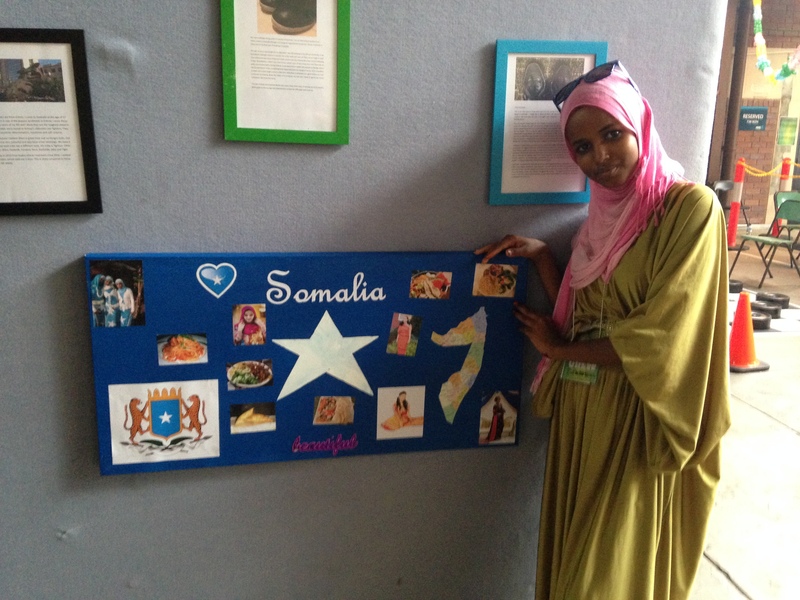 The art exhibition featured stories written by high school students from multicultural Brisbane schools Sunnybank and Milepera High Schools, and English language learners from Logan and Inala TAFEs, about where they were from. The stories and images were themed around shoes, physically and symbolically – shoes that take people across the world and shoes that are special to us, to show others another experience – to walk in someone else’s shoes. Three keen Youth Voice volunteers from around the world – Armin, Rafique and Ayan – were there to make sure everything ran smoothly, and encourage people at the mini festival to share their stories and thoughts on diversity in Brisbane. 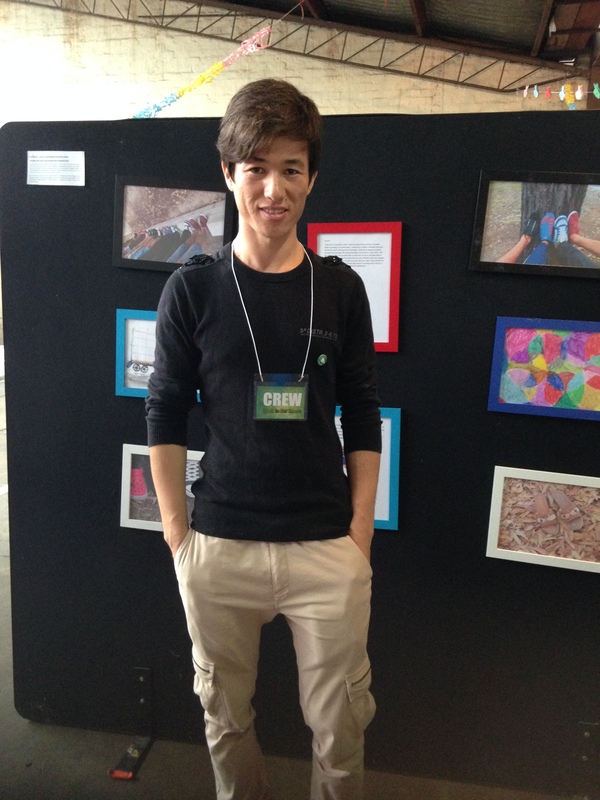 One of the performers at Walk in Our Shoes was Chris Tamwoy. Chris Tamwoy plays acoustic guitar. Chris plays guitar by sitting it on his lap and tapping the strings with his fingers. And Chris himself? He’s only 18 years old and learned to play without formal musical training. His unique style of playing guitar has caught the attention of music lovers across Australia and the world. He recently performed and spoke at TedXBrisbane late last year and is playing at Bluesfest in Byron Bay this weekend. Chris uses social media as a platform to publish his music. After receiving some racist comments online, he also used social media to spread his message about confronting racism. I caught up with Chris after his performance at Walk in Our Shoes to talk about how he learned how to play like that, and how to respond to racism. Vaguely Human, a multicultural Brisbane band with a conscience, funky guitar and spitfire rapping, played a few sets after Chris. B-Grade, Loz, Guy and Vegas chatted to us after their show about how 4 members from around the world came together in Brisbane – which involves a family feud across Asia – 20-year-old dreadlocks and the ethos behind their music. Michael Nolan from Melbourne has taken it upon himself to start a petition against repealing 18C of the Racial Discrimination Act. 18C condemns offensive speech and actions towards another person based on their race. However, Attorney General George Brandis and Prime Minister Tony Abbott are proposing to repeal the act, claiming it interferes with the right to free speech. This has caused concern in ethnic communities across the country. The Attorney-General’s department is accepting submissions from the public about their thoughts on repealing the act until the end of April. Michael has collected almost 8,000 signatures protesting against changes to the Act and will submit it at the end of the month. He talks to us about how his migrant family and international friends motivated him to take action. Growing up in Queensland in a Chinese-Malaysian family, writer Michelle Law noticed that there was something unique about her mother. She dressed and ate differently to the other mothers she knew, and said some things that struck her as unusual. Along with her brother Ben, Michelle wrote a book called Sh*t Asian Mothers Say, filled with wisdom, quizzes, an interpretation guide, beauty tips and the Ten Commandments, inspired by their mother. 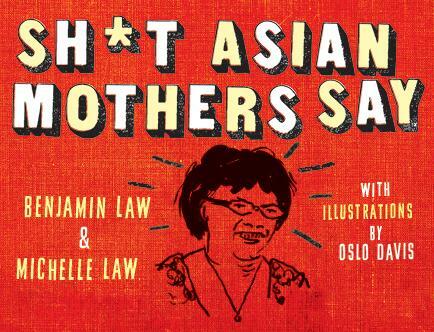 I chatted to Michelle about the philosophies that create an Asian mother. The Brisbane book launch is sold out but Sydneysiders can head to the launch in Glebe on April 23. The book is available to buy in stores now! Last weekend was the Lotus Playwriting Project run in conjunction with Playwriting Australiaand Performance 4A, part of the Asian-Australian Artist’s Association. 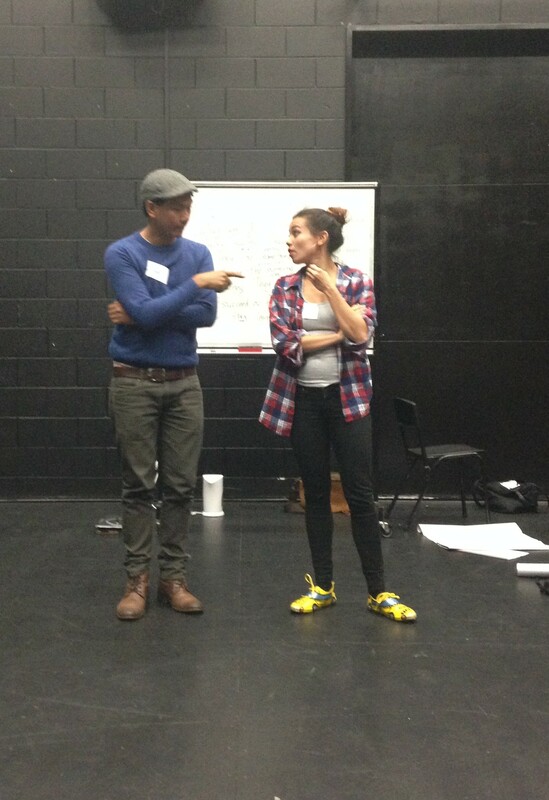 The Lotus Playwriting Project teaches creative playwriting skills specifically to Asian-Australians with the intention of inspiring them to bring diverse stories to the stage. 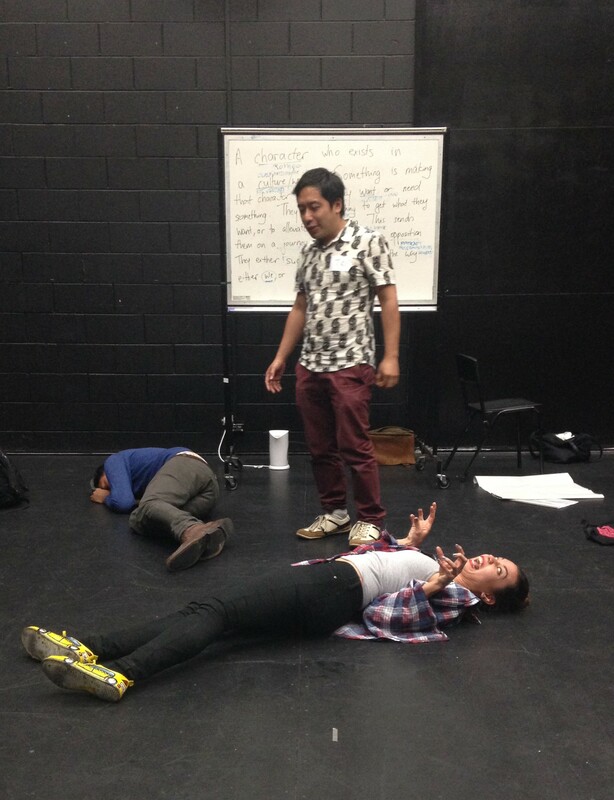 The workshop went over skills like creating characters, creating a setting and writing dialogue in different tones. The facilitators – all trained actors – brought our creations to life and worked with us to develop what our imaginations had come up with. Teik-Kim Pok is a theatre maker, performance artist and drama teacher who coordinates Playwriting Australia’s Outreach programs. Catherine Davies is an actor, dancer and artist. She’s appeared in a range of productions and performances around Sydney. Kenneth Moraleda is a NIDA-trained actor of Filipino descent with an enormous list of TV, film and theatre credits under his belt including the recent TV mini series Schappelle and the Australian version of The Lion King musical. Annette Shun Wah is the Executive Producer of Performance 4A and a familiar face in Australian television and broadcasting. She’s produced and appeared on the ABC, SBS and commercial TV dramas. 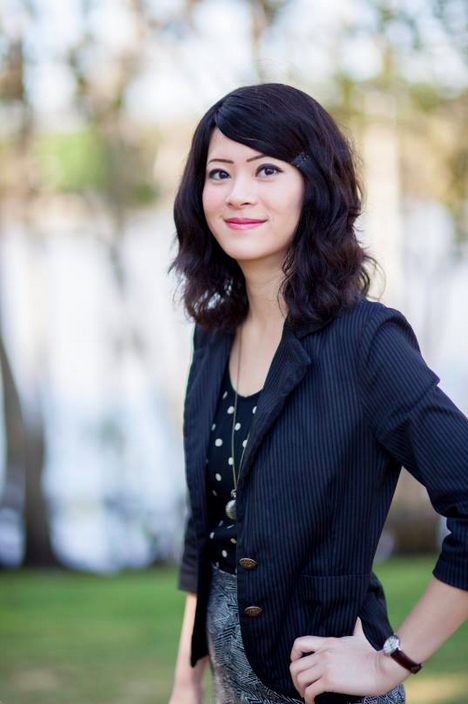 She’s also a writer, speaker and events facilitator of cultural events around Australia. At the end of the weekend, I caught up with the facilitators to talk about what they hoped will come out of the workshop and how the weekend went. The Lotus Playwriting Project is going to Sydney this weekend and Melbourne in the near future – keep an eye on their website for more details. 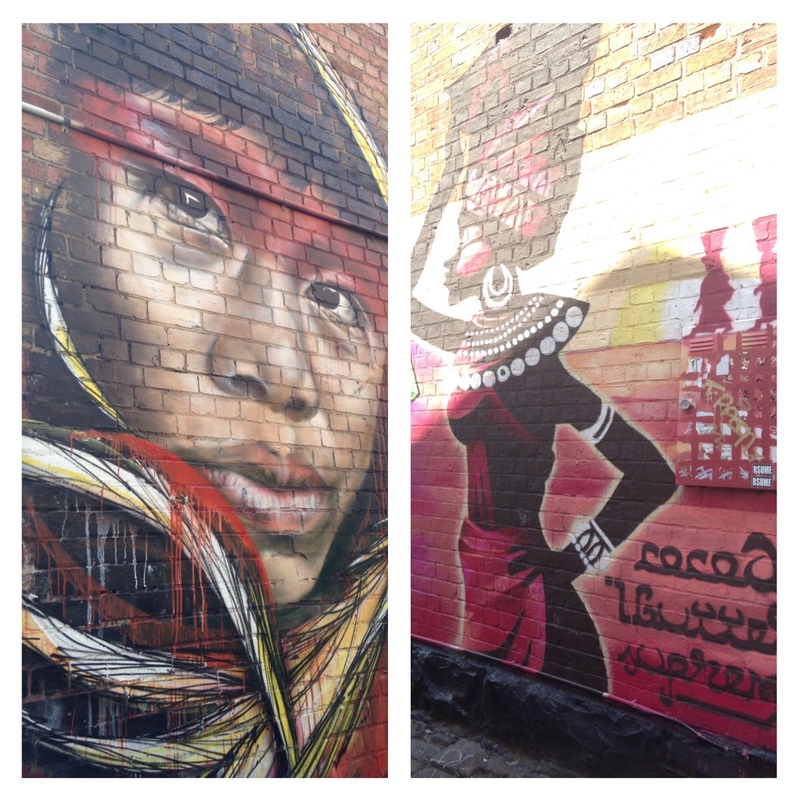 The Northern Territory may be known for its dusty outback and Uluru, but did you know it’s also home to a vibrant multicultural community? 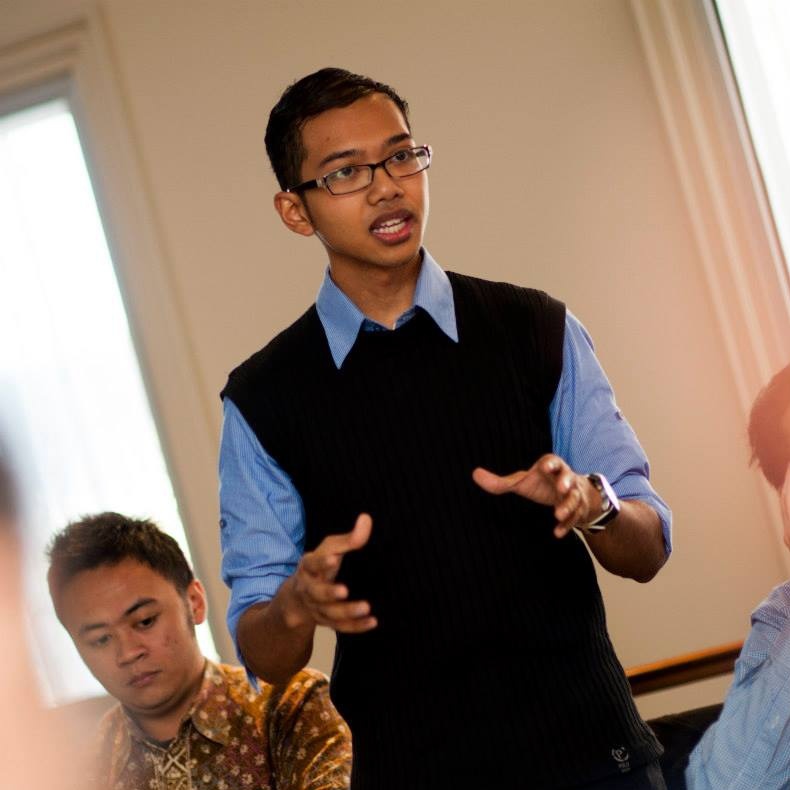 We chat to one Darwinian, Rangga Daranindra – an active member of Darwin’s diverse community in the Indonesian Students Association,Multicultural Youth NT and the Youth Roundtable in the Northern Territory. Rangga tells us about how he came to live in this unique place in Australia – via Indonesia, Suriname, Uzbekistan and even North Korea.